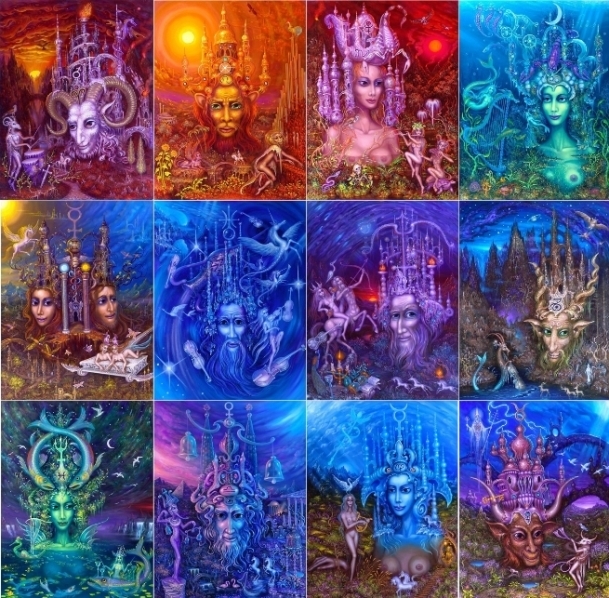 Can you select each painting by Reon Argondian that corresponds to a given Zodiac sign? The Magical Cavern in Prague is a wonderful spot to visit and if you get the chance, you should go! This is the link to the artist's website, where you can find more info about him and his work. This is the link to the site where he sells prints of his work.